The keynote at LocWorld32 just took place in Montreal, Canada, discussing how to engage customers profitably. “This,” said keynote speaker Donald Cooper of localization “is a huge growth industry. I can’t think of another industry that’s growing at 7% a year.” Cooper speaks internationally in 40 industries worldwide, offering advice on business growth and management. “I know a lot of people who are passionate about what they do every day,” Cooper said. He noted that passion is important, but it won’t guarantee success. “As business owners, leaders or managers, our first job is clarity.” Being clear from the top down about specific requirements, needs and expectations is the first step in successful business. This was well-received by an industry whose whole point of existing is communicating clearly and appropriately with customers, in their own language and according to their own mores. 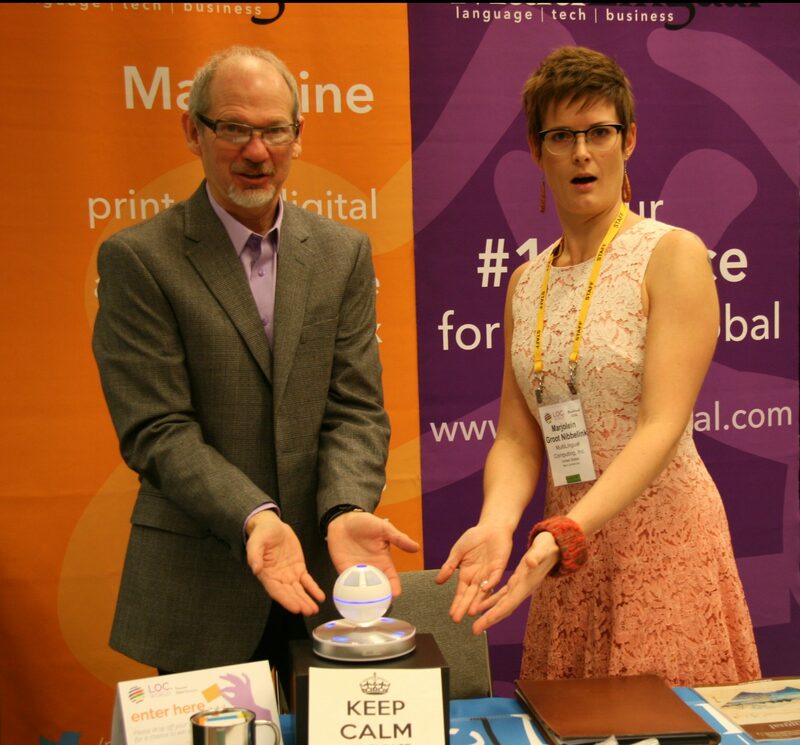 MultiLingual is celebrating LocWorld by giving away an “R2D2-turned-Death-Star” (according to descriptive fans) floating bluetooth speaker. Any number of exhibiting vendors are celebrating in a similar fashion. The conference theme is “Engaging Global Customers” and few things seem to instantly spur global engagement like weird-interesting-and-prestigious free stuff. Very little translation is required; the idea of gifts (or more accurately in this case, swag) seems pretty universal in business. Other themes to be covered in the next two days are community engagement, customer experience, icon usage and gender in localization. Keynote presenter Donald Cooper will be on-site today offering free business consultations as well. How did this venture work out?